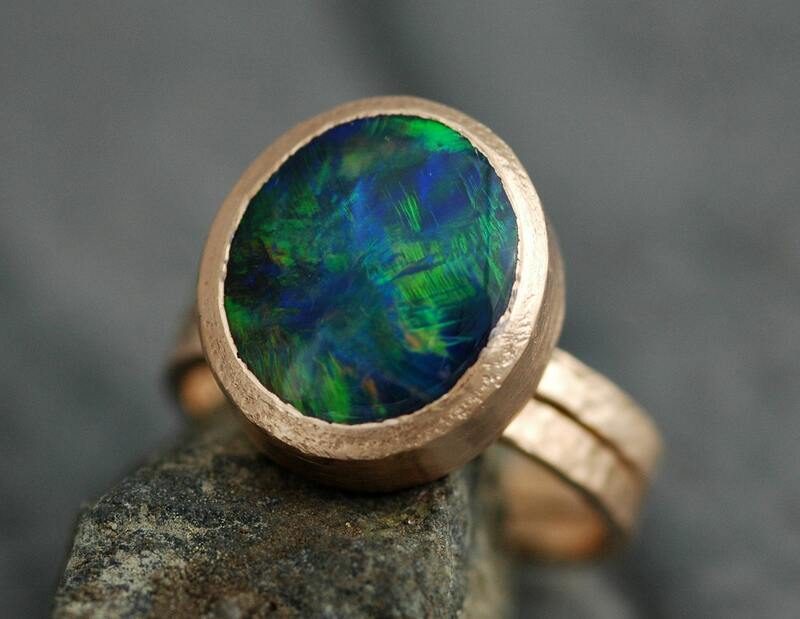 This listing is for a deposit on a custom-built ring, built to your specs. The final cost of the ring can vary- please get in touch if you have any questions at all. I am happy to help. The rings in the photos were a custom order, and are sold. This listing represents a deposit on a similar ring, or two ring set. 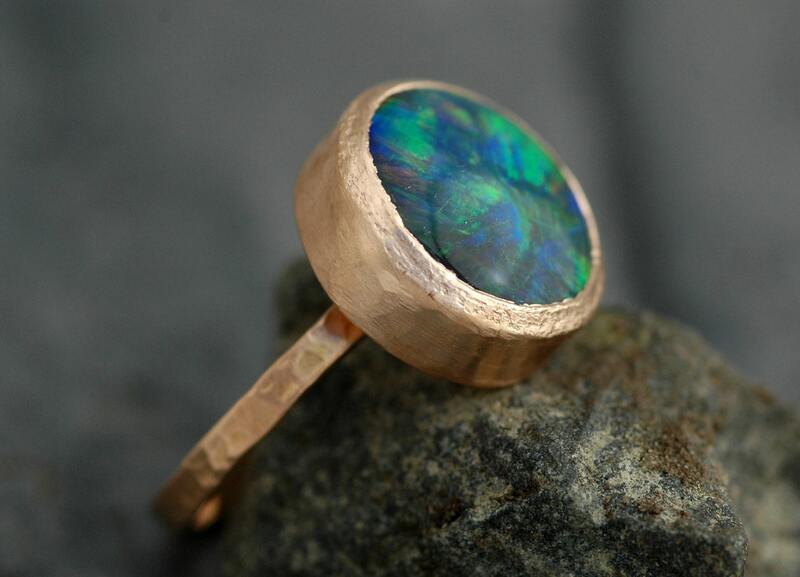 The opal in this ring is a massive 14 x 12mm. 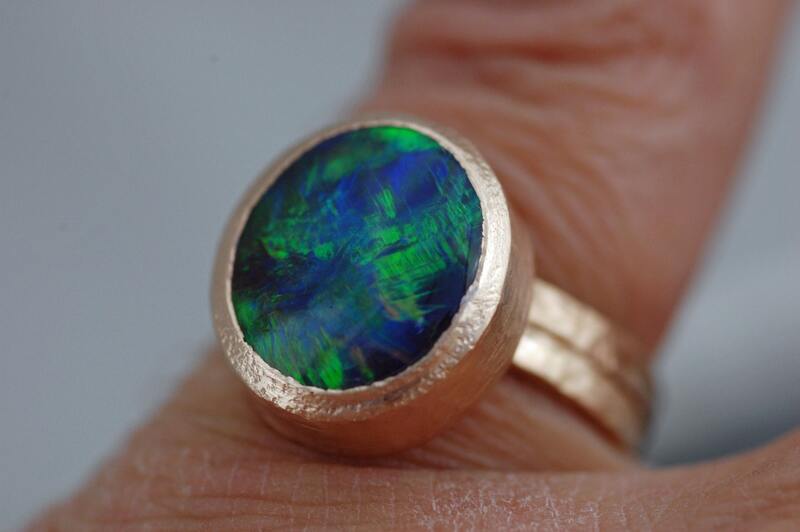 It was mined in Lighting Ridge, Australia- home to the world's more beautiful black opals. The ring was set in a hand-forged band of solid, recycled 18k rose gold. I created a hammered texture on the ring band, and a faceted texture on the bezel. 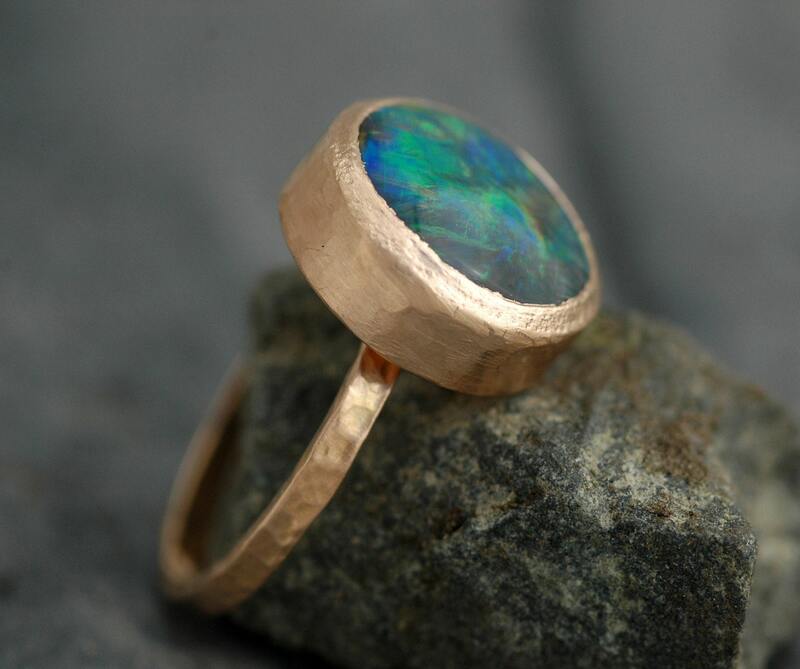 With this listing, you and I will work on designing your perfect opal ring together. The deposit is taken, then I begin work sourcing your opal. Once all of the work on the ring is complete, and you have given your approval of a final set of high-resolution photos, the balance is payable. Then, the ring ships to you anywhere in the world via Fed Ex, with a tracking number. Band width- The rings in the photo are 2mm wide, but any width is possible. 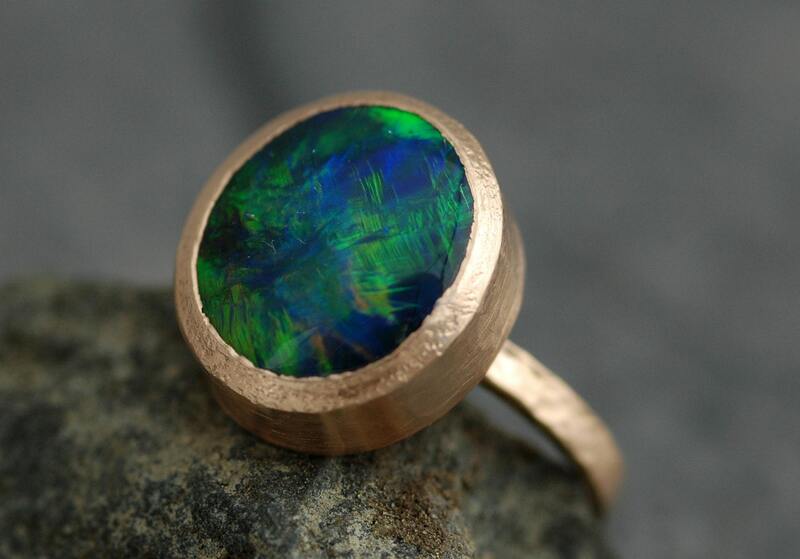 It is also possible to make this ring with a domed/half-round profile ring band as well.